The truth is out there, isn’t it? You know it’s the truth because you are part of the truth. It’s happening all the time, all day and every day, and you are taking part as much as anyone else. You just did it. You checked your mobile device. Maybe there was an email or a text. You checked the weather or a sports score. You posted a photo on Facebook, checked into a restaurant on Foursquare, and then you tweeted about the fries. Getting information from your mobile device has become part of the regular flow of your everyday life. It has become seamlessly integrated into your regular patterns, and in fact, you rely on the information to decide, keep up to date, and to be a contributing voice in the surrounding communities. But now it’s not just a fixed component of your personal life. You don’t turn your mobile device off once you walk through the doors of your place of business. You are using it there, too. You are not only checking email, but adding a comment to a work discussion on Yammer. You have access to a parts database and can access it through your tablet, and you checked the inventory of a best-selling fuel injector. And the quarterly report just came to you from Corporate HQ as a push notification and your division’s performance was a major reason for the profit. Nicely done. You see what’s happening here? Mobile content delivery has arrived and it’s being used to do business – in your enterprise, in your building, in your department and in your cubicle. Of course, it’s not just you. Your learners, the audience you have served for many years with different methods of formal learning, are already engaged in mobile learning. They are doing it by their own volition if your enterprise hasn’t provided any. This could well mean that if your team is working on a mobile learning strategy, reevaluate your understanding of the context in which you will implement your first mLearning initiative. You’re not introducing mobile to them; you are adding to their own self-taught mobile practices and habits. That is the first truth. Another truth to wrap your head around involves the learning experience you are developing. This statement may shake your training approach at the foundation. So many of us are accustomed to designing and building formal training experiences that are an event. Who amongst us hasn’t fired up the eLearning rapid development software and built a 30-or 60-minute course? Or developed the one-hour ILT with rock-solid instructional design and assessments? These are proven learning strategies, but rarely fit in to the just enough, just for me, just-in-time context of mobile learning. What can you create for your learners that fits rather seamlessly into their daily work patterns? It will take reimagining of your design and development habits and practices, but your result could be compelling and powerful. You may even attract some “fringe learners” who have participated as little because it does not attract them to the “event” approach to learning. Don’t stop their world to make them learn. Become a part of their world and give them the opportunity to learn. One last truth, and then we can give your brain a break. Are you one of those people that says, “I wear a lot of hats”? You play a lot of roles. Instructional Designer. Project Manager. Usability and Testing Chief. Lead Developer. Sometimes it seems like you have had a hand in all of them. If you really want to take full advantage of mobile, you will need a bigger hat rack. There are new roles ready to be filled when mLearning is an offering in your curriculum. Take advantage of the great potential for measurement available for mobile learning and that will require one of your team members to learn the possibilities of the analytics available for mobile. The Tin Can API, Google Analytics and Flurry are just a few of the analytics tools that go way beyond the measurements of the standard LMS. And who will build an analytics strategy? What are the key reports you want to develop about your learners? There is a wealth of information to be gleaned through a sound analytics strategy. Is there a person on your team that is both creative and understands technology? 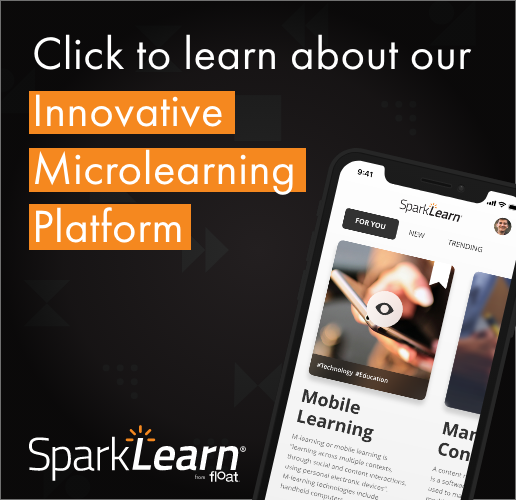 Let that person evaluate your training offerings and uncover ways you can use the unique features and functions of mobile to enhance and strengthen your mLearning initiatives. Perhaps you can consider social media, use the camera, allow for learner comments and ratings or utilize geolocation. Even that Articulate course you are ready to push to your learners’ iPads might benefit from some social media interaction amongst the users. Launching an eLearning course on a mobile device can be useful, but it is akin to providing your learners with a shiny new Ferrari and then making them sit in it in the garage. Don’t do that. Truth makes us all uneasy when it requires us to make changes. 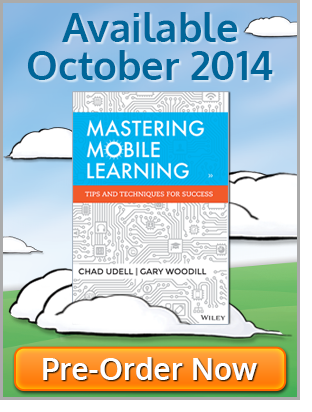 As you and your team launch mobile learning, it is a guarantee you will encounter change on many levels. You will need to rethink the design, development, and delivery of your training. But mobile learning provides great opportunity to reach the goals you have had all along. You want your audience to be well-informed. You want them to become better at what they do. Mobile learning gives you more weapons in your utility belt to take on those goals. Not sure where to start? Turn to your mobile device for some answers, then contact Float to help you through the process. The truth is out there – and you are part of the truth.